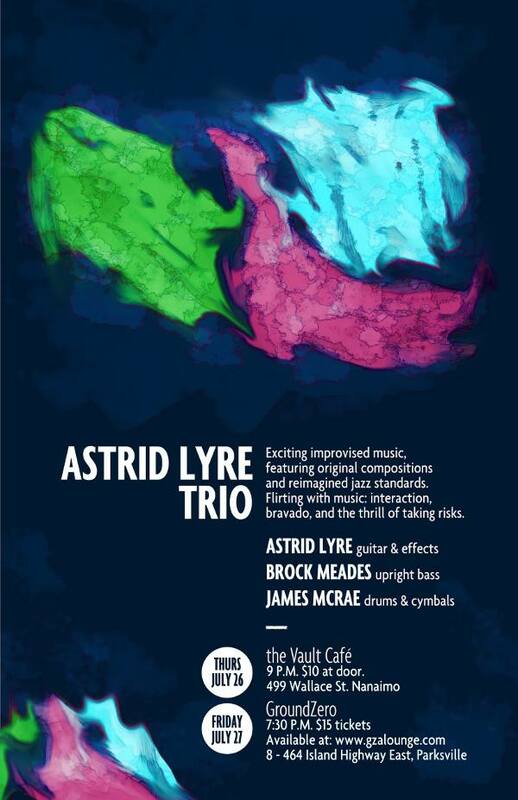 Astrid Lyre Trio — CHLY 101.7FM — Radio Malaspina, the Campus Community Radio Station of VIU Students & Nanaimo BC Vancouver Island. Exciting improvised music, featuring original compositions and reimagined jazz standards. Flirting with music: interaction, bravado, and the thrill of taking risks.